Full-line die-cutter offers greater accuracy and better quality, in addition to faster setups and changeovers. 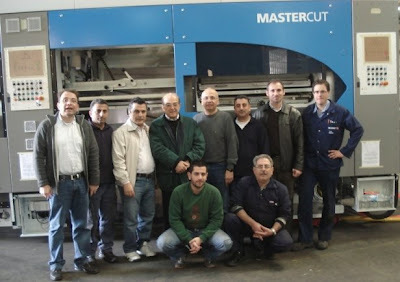 Corrugated manufacturer, Unipak Nile Ltd., located in 6th of October City, Egypt, recently installed the Bobst MASTERCUT2.1, a revolutionary machine and the first die-cutter of its kind in the Middle East. This investment comes within the scope of a continuous improvement plan of INDEVCO Paper Containers, a division of which Unipak Nile is a member. The Bobst MASTERCUT 2.1 is an automatic flat bed die cutter machine connected in the front with the DYNALOAD automatic loader and a gBREAK separator after delivery. This full-line machine is equipped with a power register device on the feeder. The machine also has cutting, stripping and delivery sections. Unipak Nile manufactures corrugated cartons, boxes, displays and other paper-based packaging for the European, Middle Eastern, and African agricultural, fast food, industrial and promotional industries.